We recently visited Berlin for the first time and absolutely loved it! Although there are still a few scars from the cold war and years of being divided by a wall and contrasting political ideologies, it is a city on the move. Much of what was dilapidated when the Berlin Wall came down in 1989 has been renovated or demolished and rebuilt. There are building projects everywhere you look so if you haven’t been to Berlin lately it can seem like a new city. Here are some of the best things we did during our stay. It was REALLY hard to limit our list to only 10!! 1. Brandenburg Gate – No other spot in town symbolizes the city more than this iconic landmark. The only remaining entrance of what used to be eleven into the city, the gate has been an important structure for centuries. After WWII it was incorporated into the Berlin Wall, separating East and West Berlin, and was a major point of celebration when the wall came down in 1989. It is definitely worth a visit after dark when it is beautifully illuminated against the night sky. Built into the Northwest side of the structure you will find the Quiet Room. This small space designed for silent reflection is especially poignant after visiting some of the memorials in the city. 2. Berlin Wall Memorial – This well crafted memorial covers several blocks of what used to be the Berlin Wall. It includes a visitors’ center that explains the history of the wall, several historical markers along the route, some striking wall art, and one of the few remaining, fully intact, sections of the wall. There is also a small chapel on the site of a once busy church that was demolished after being trapped inside the barriers of the wall. 3. Tour of the Reichstag Building – Very near the Brandenburg Gate stands the Reichstag Building, home to the German Parliament. This grand structure stands just a few meters away from what was the Berlin Wall and stood empty during much of the Cold War. After reunification, the building was renovated and added on to as the center of the new government. The tour is free but must be booked weeks in advance. The guided tour ends in the newly added dome on top of the building with tremendous views of the city. This amazing piece of architecture serves as part of the lighting and ventilation systems for the building. 4. Memorial to the Murdered Jews – Above ground, this memorial consists of hundreds of rectangular blocks of various heights set in multiple rows across roughly a city block. The ground undulates and as you walk down the rows other visitors appear and disappear behind the blocks evoking a sense of being lost. It is an interesting phenomenon. The visitors’ center is under ground and is a must see. Exhibits detail the plight of the Jews across Europe leading up to and during WWII. The audio guide is worth the 4 euro. The blocks above ground are echoed in the ceiling below and the entire experience can be exhausting. Still, this is not to be missed. 5. Humbolt Box – This was the biggest surprise of the visit. This temporary structure sits in front of what will be the Humbolt Center. It houses an exhibit that tells of the history of the area that is under construction as well as renditions of what the finished structure will look like. On the upper floors a rotating exhibit fills the floors while large windows offer spectacular views of the Berlin Cathedral across the street on Museum Island. A sound installation was there when we visited and it was fascinating! To make it even better, everything mentioned so far is free to visit! Compared to other European capitols, Berlin is relatively inexpensive and some of its best sites will cost you nothing. You can use those savings to visit the following sites. 6. Pergamon Museum – Most of the museums charge an entry fee, but if you want to visit these there is a Museum Pass (details provided later) that is strongly advised. The Pergamon is the star of the five museums on Museum Island. It houses the spectacular Ishtar Gates as well as several other large installations. There are often long lines as they control the number of visitors that enter. Because of this, the Ishtar Gate, the first thing you see when you enter, is not overly crowded. We suggest hitting it early to minimize the wait. 7. German History Museum – This well curated museum explains Germany’s important role in the history of Europe. There is a lot of reading to do but the exhibits are interesting and very informative. There is also an excellent audio-guide. The history starts on the second floor with the first floor covering WWII to the present. It can be a little unsettling being surrounded by Nazi propaganda, but you get a strong sense that the country does not want to repeat the past and that knowledge is the key. 8. 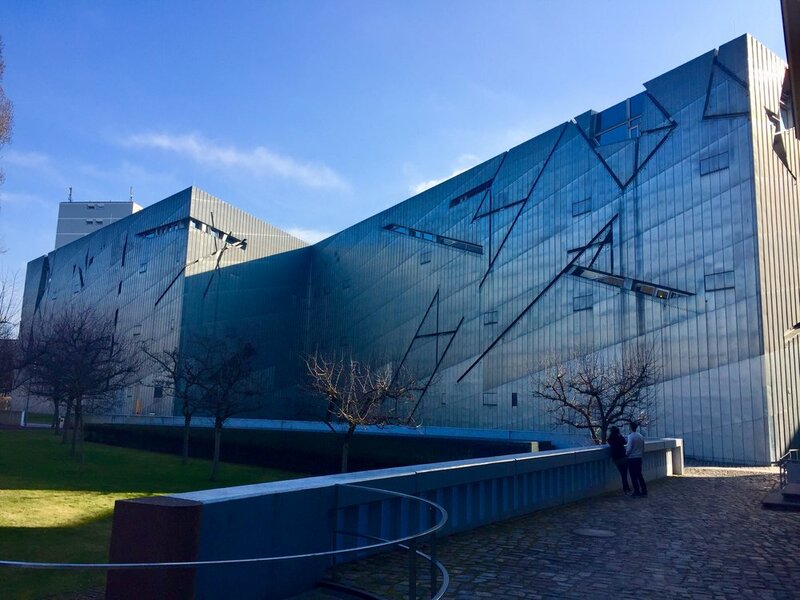 Jewish Museum – This is worth a visit for the architectural work of Daniel Libeskind, alone. The museum is housed in two buildings, one historic and one modern. The exhibit starts underground and includes the startling Shalekhet or Fallen Leaves. All the sculptures, paintings, and installations are by Jewish artists and quite fascinating. Don’t forget to visit the lovely gardens outside for a different view of the spectacular architecture. 9. Eat the Street Food – Kebap stands are all over the city. After attending church at the American Church in Berlin on Easter Sunday we spent a very cold 45 minutes waiting in line at one of the most famous of them, Mustafa’s Gemüse Kebap. It was really good but I have to say, we had the same dish at a place just around the corner from our apartment and it was one of the best $8 meals (for both of us!) we have ever had. I don’t know that the line was worth it. Currywurst is another go-to street food. You see stands for both all over town and they are always a good bet for a cheap, reliably tasty, quick bite. 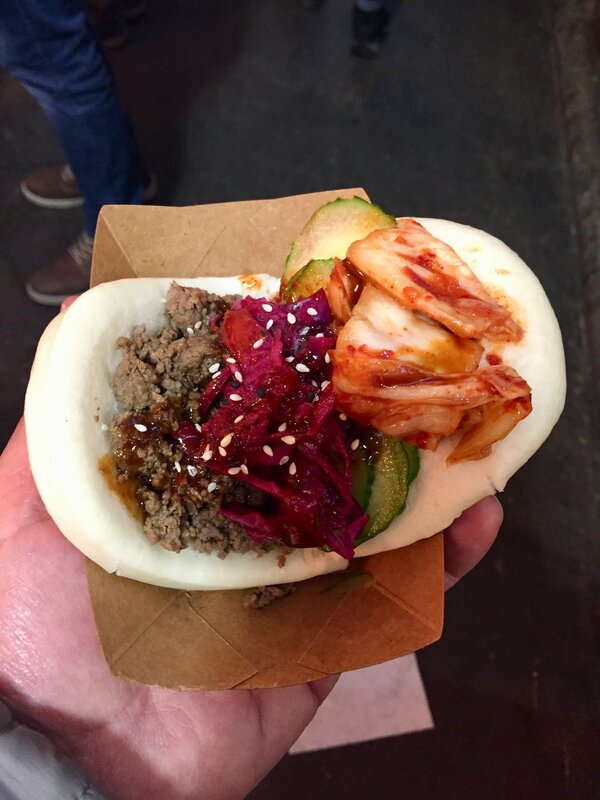 Ready for a street food overload? 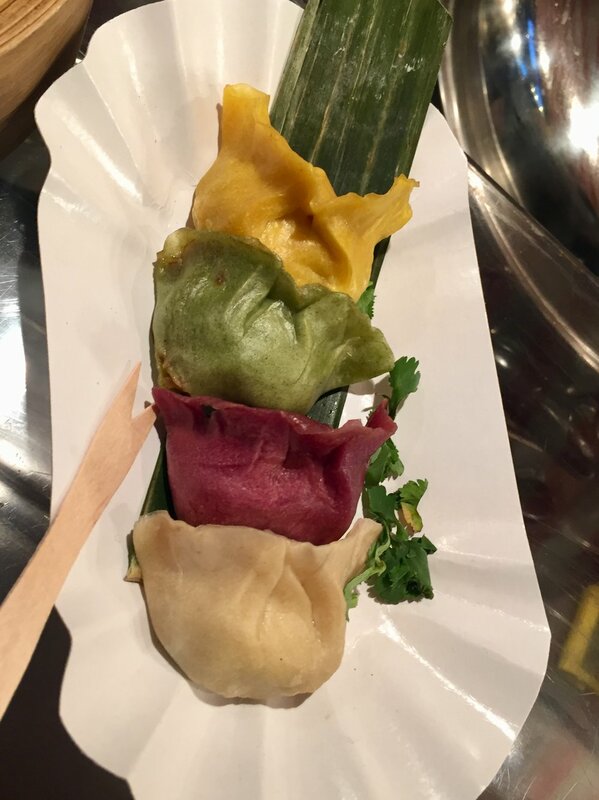 Hit the Street Food Thursday at Markthalle Neun. Everything from fresh oysters on the half shell and grilled octopus to pot stickers and stuffed naan. Go hungry, you won't be sorry! 10. Fine Dining – Berlin is a city that is in a constant state of revitalization and nowhere is this represented better than with the choices of fine dining. Cuisine from all over the world, as well as traditional German fare, can be had all over town. Be sure to sample the fine German Rieslings as we did at Liebensmittle in Mitte. This small intimate café has a great sampling of wines by the glass accompanied by charcuterie or a nice meal. 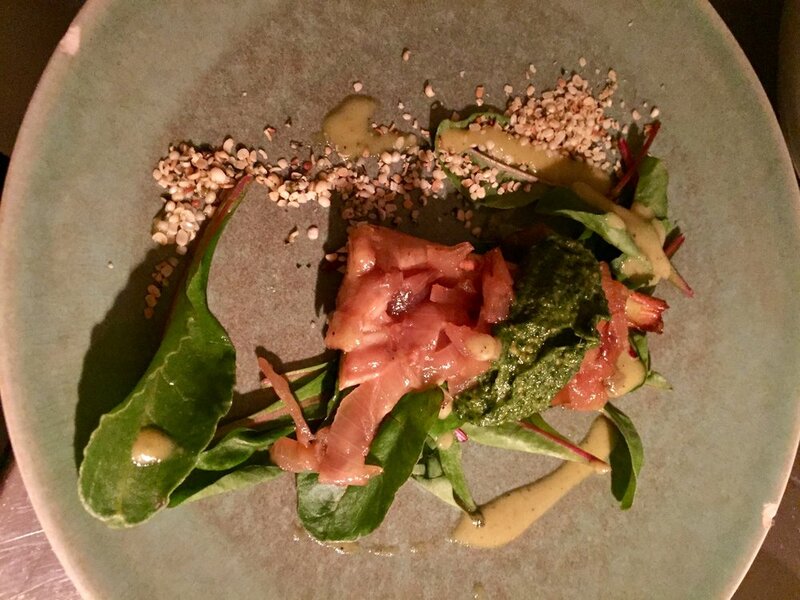 Our splurge meal for the week was at Lokal, one of the first “farm to table” restaurants in the city. The menu is inventive and constantly changing. Reservations are a must, but we enjoyed sitting at the bar when we tried to get in at the last minute. The Berlin Welcome Card is available at the TI office in the main train station as well as many other spots around town. It is available in 2, 3, and 6 day versions and in addition to covering all public transportation in the city you can get discounts at many tourists destinations including museums not covered on the Museum Pass, including 50% off the audio-guide at the Memorial to the Murdered Jews. A note about the public transportation – it is extensive but a little confusing. There are two train systems (a remnant of a divided city), trams, and buses, plus the regional train that runs into the city and are sometimes used for getting across town. The Berlin Welcome Card covers them all, and Google Maps does an amazing job of telling you which is the best to use for any given trip. You quickly get used to the whole mess! One more note, we read that tickets are frequently checked on the public transportation system and fines are quite high. We validated our 6 Day Pass by time-stamping it on our first tram ride, but we never saw anyone checking tickets the whole week we were there. You can use that information as you wish. If you are going to go to several museums, the Museum Pass is a wise choice. It covers the three museums mentioned above, all five on Museum Island, plus another twenty or so all over town. We used it to pop into the National Gallery and Altes Museums when we only had a little time to see them. We would never have paid full price if we weren’t going to take the time to really enjoy them, but there is a certain freedom in being able to stop at a museum for 30 minutes and rush through to see the highlights. Bonus Thing to do in Berlin! 11. 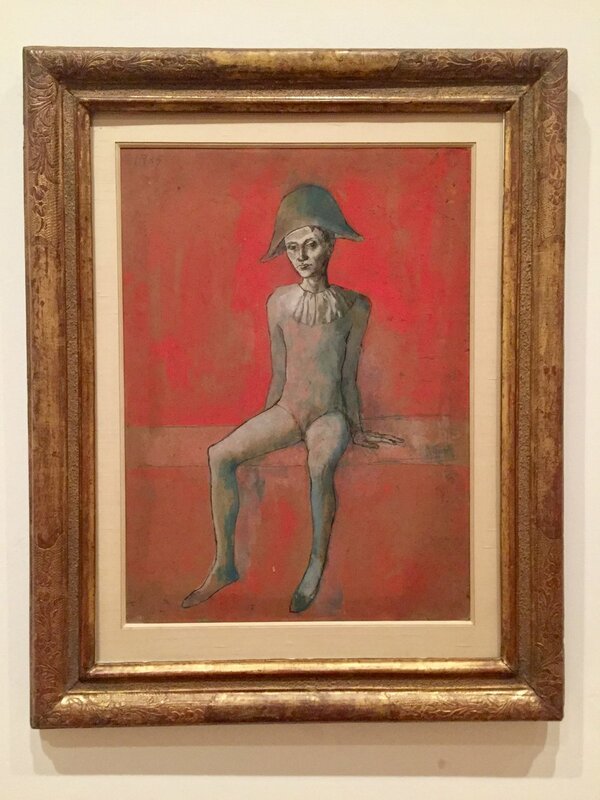 The Museum Berggruen was once a private collection focused on Picasso, Matisse, Klee, and Giocometti. The day we went very few people were there with us and we spent a leisurely couple of hours soaking it all in. This is also on the Museum Pass. The Reichstag Tour was simply amazing. Our tour guide was fantastic, spoke perfect English, and made the experience special. This really needs to be booked as early as possible. Betsy booked our tour well over a month out and the only remaining spot on the week we were there was an evening tour. Of course, an evening tour can be amazing on a clear night!